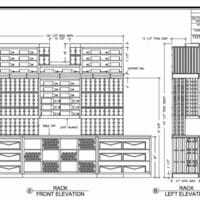 It has happened many times – building wine cellars with the wrong capacity. It seems that – more often than not – collectors underestimate the number of wine bottles they will potentially own. 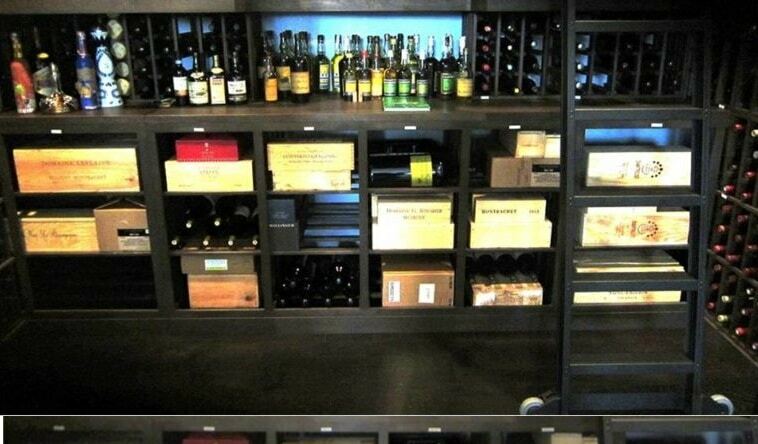 You see, everyone starts with a few bottles, and you have this small wine cabinet or a mini-cellar to keep the wines. But then, after a few months or years, you realize you’ve added more and more bottles, and your tiny storage facility can’t hold them all anymore. One of the options to solve the predicament is to renovate the existing cellar, in order for the space to accommodate more bottles. 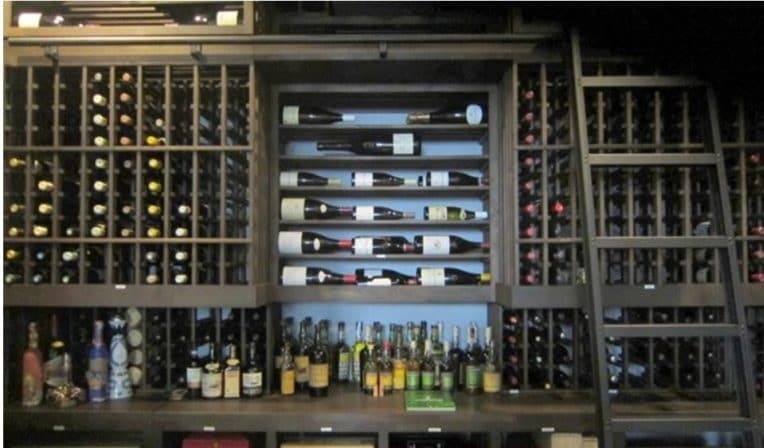 In a recent project, Custom Wine Cellars Los Angeles remodeled a small wine room. 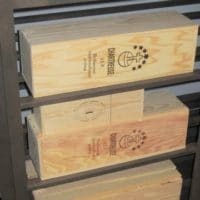 Our team added custom wood racks to increase the bottle capacity of the client’s cellar. 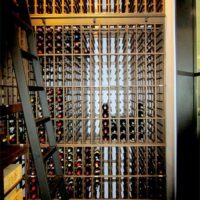 Every time a collector decides to have a wine cellar built, he or she must anticipate growth. 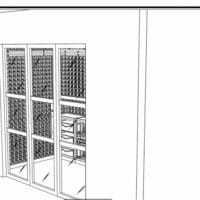 That is why it is highly recommended that modular racks are used, because these racking systems are flexible and can accommodate a continuously expanding wine collection. 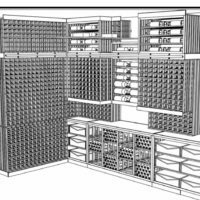 Every time the need for more storage space arises, a new modular rack can easily be added to existing racks. The problem arises when the wine cellar built is not designed for a growing collection. 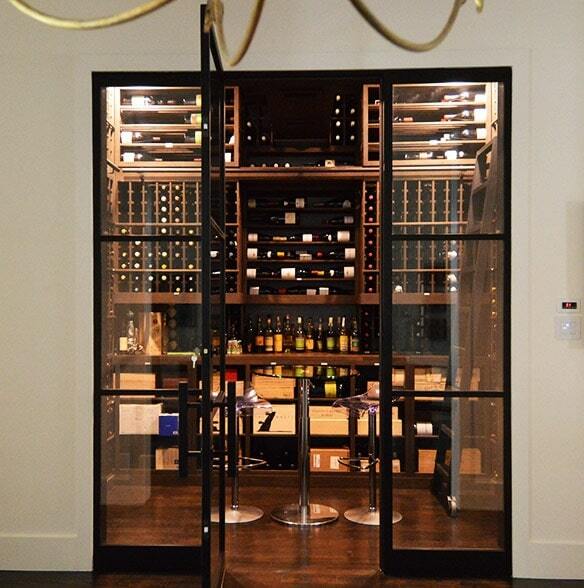 A client in Los Angeles, for example, owned a wine room in his home that was built two years ago. The storage structure could accommodate approximately 1010 bottles. At the time of its construction, he thought that the cellar’s bottle capacity was more than enough. He only had around 500 vintages in his collection then. Fast forward two years later, the client’s wine room is fully-packed. He has intentions of stopping his hobby anytime soon. He plans to add more vinos to his collection, but his cellar won’t be able to accommodate the new bottles. And so, he is faced with a dilemma of either building a new wine cellar or renovating his existing one. 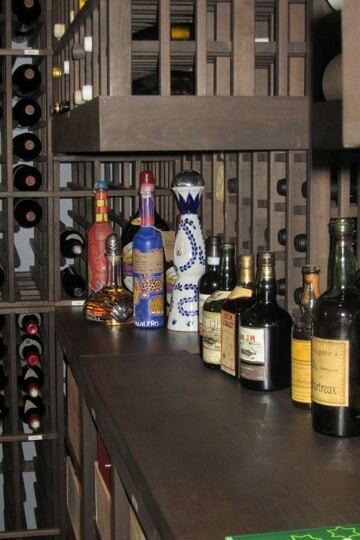 After a thorough consultation with our team of experts, the client decided to have his existing wine room remodeled. The goal was to maximize the storage capacity of the wine room. 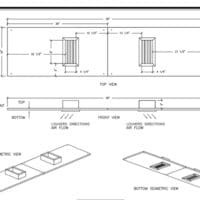 Our designers provided the client with a set of 3-dimensional drawings, so that he could have a clearer visualization of the construction plan. As soon as the client approved the 3D designs, we began the construction. We originally aimed to create a storage facility that could accommodate approximately 3,000 standard wine bottles, but we went beyond this expectation. The final racking system that we set up could house up to 3,200 bottles! The client chose to have wooden wine racks installed in his cellar because wood complements the decors in the storage space. More specifically, our team used Knotty Alder in making the custom-built racks. Knotty Alder is one of the most durable wood species used in building wooden displays. This type of wood is well-known for its distinctive knots and burl clusters that add character to the racking system. To enhance the displays’ aesthetics, we applied a rustic stain on the wooden racks. We kept the wood unlacquered. On the left and right wall of the remodeled Los Angeles wine cellar, our team installed valadis-style, double-deep wooden racks. We also mounted individual bottles storage displays. 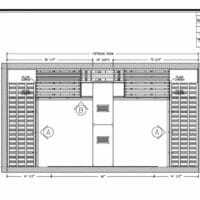 Both the left and right wall single-bottle racking systems could accommodate a total of 954 bottles. The back wall is the focal point of this remodeled custom wine cellar project that we’ve completed for a residential home. The racks installed on the back wall are a mix of various bottle orientations, in order to maximize the capacity of the space. 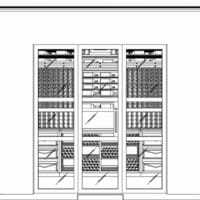 Besides individual slot racks, we also included horizontal racking systems so that the client could have storage space for magnum-sized and large format bottles. 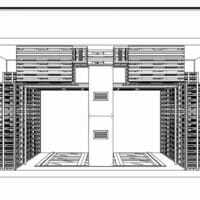 The horizontal displays were incorporated on the on the left and right sides of the soffit and at the center of the racking. 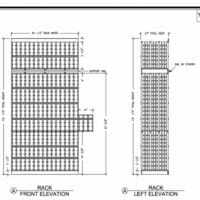 On the back wall, our builders installed 450 single slot racks, 16 magnum storage displays, 440 lattice wood cases, 84 horizontal lattice magnum displays, and 24 horizontal lattice displays for 3L and 1.5L bottles. The total bottle-capacity of the back wall is 1,302 wines. Our expert builders added a tabletop in the Los Angeles cellar to provide space for decanting and serving wine thereby giving it an additional customized appearance. This tabletop could also be used as an additional storage area for wines that are intended to be opened soon. Below the table top, we added double-deep lattice wooden case bins, which is meant for storing wines in bulk. We installed a beautiful 36-inch wide door made of dual paned glass. This door was built with a lock and push handle. The client and his guests could view the wine collection inside the cellar from outside the door. 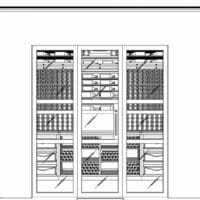 An RM 6600 Versatile Rack Mounted Refrigeration Equipment was mounted in this project. 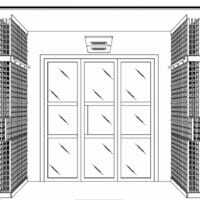 This high-velocity cooling system was the ideal choice, considering the bottle-capacity and size of the storage room. The unit’s compressor, which is the noisy component of the equipment, was placed in a separate room. There are only a few builders in California who understand the importance of aesthetics in wine cellar construction. 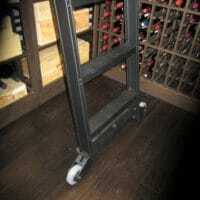 Custom Wine Cellars Los Angeles is one of the few companies that understand this from the beginning. 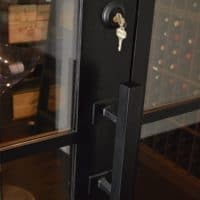 Our team of expert builders combines architectural knowledge with an understanding of the arts to be able to truly construct a wine cellar that is one-of-a-kind. Request a 3D design (FREE) and see for yourself! Call us at (323)825-9846 today!